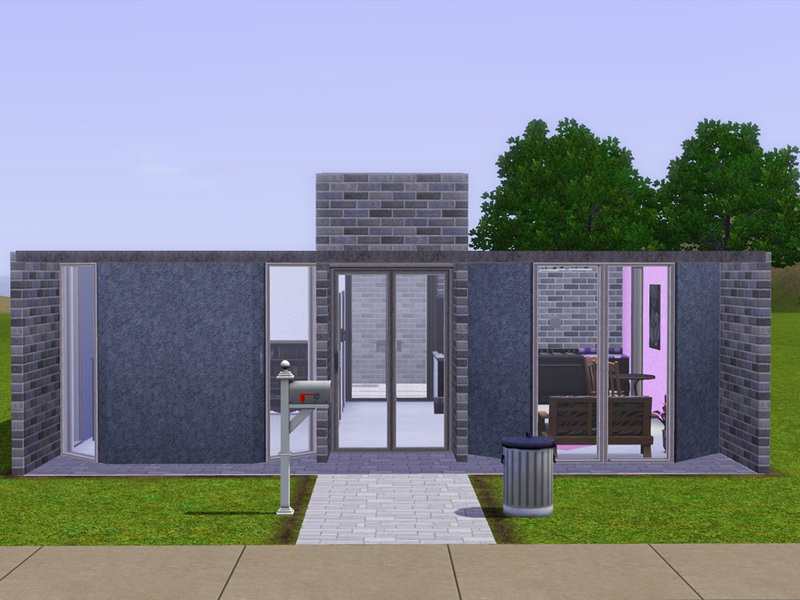 I had almost the entire day off today, photoshop crashed on me and I decided it was time to build another starter home! 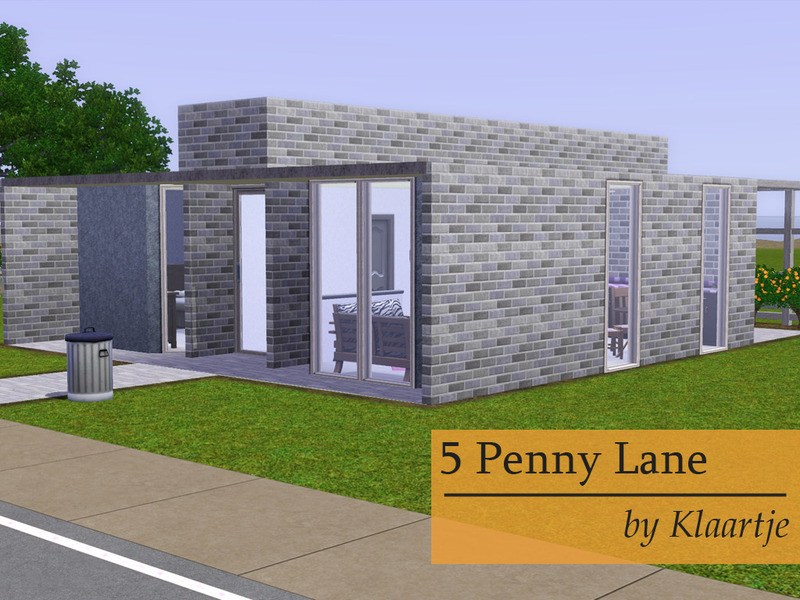 Inspiration came from this house, but I do realize I had to majorly adapt it to make it work as a sims starter home. 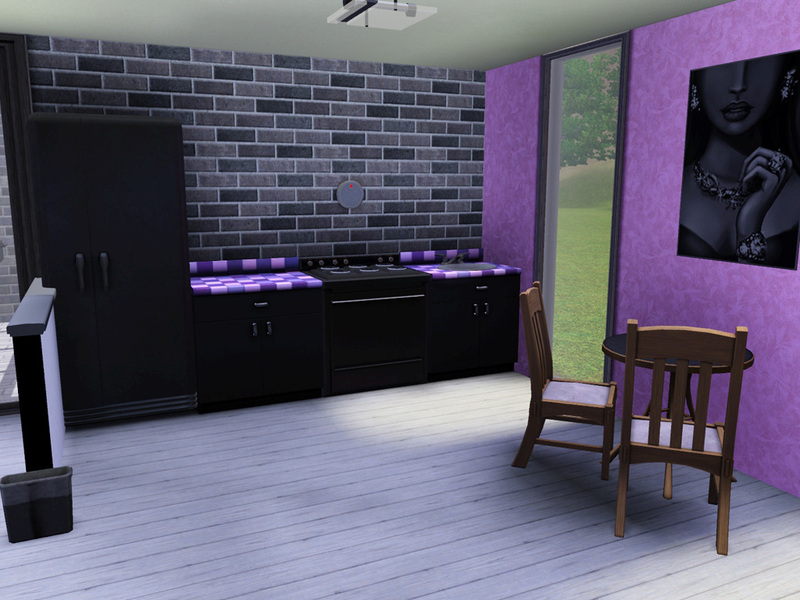 Pictures were taken on my playtesting copy, the uploaded lot has never seen any sims. Rather than building with the extra challenge of adding a room, I decided to build for a nature-loving couple that would love to spend time outdoors. 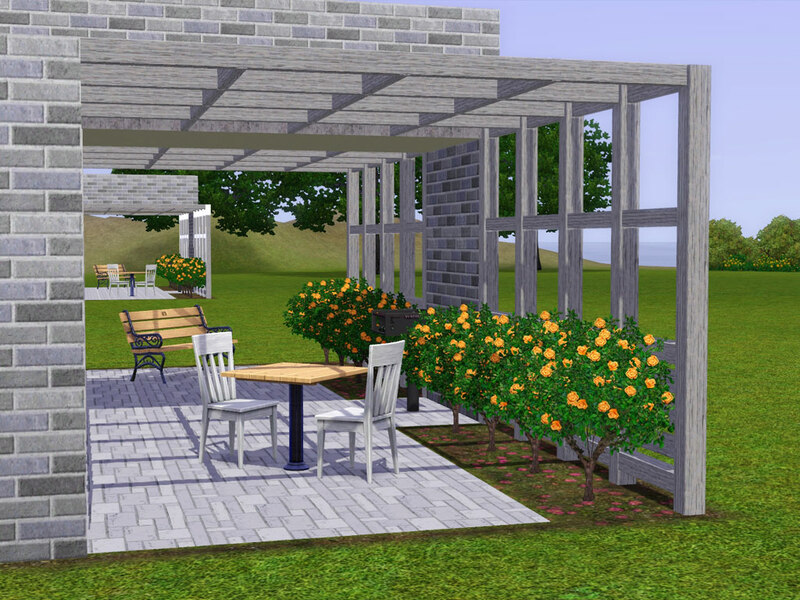 The backyard includes plenty of seating and even a BBQ to have some nice late-summer-evening parties! 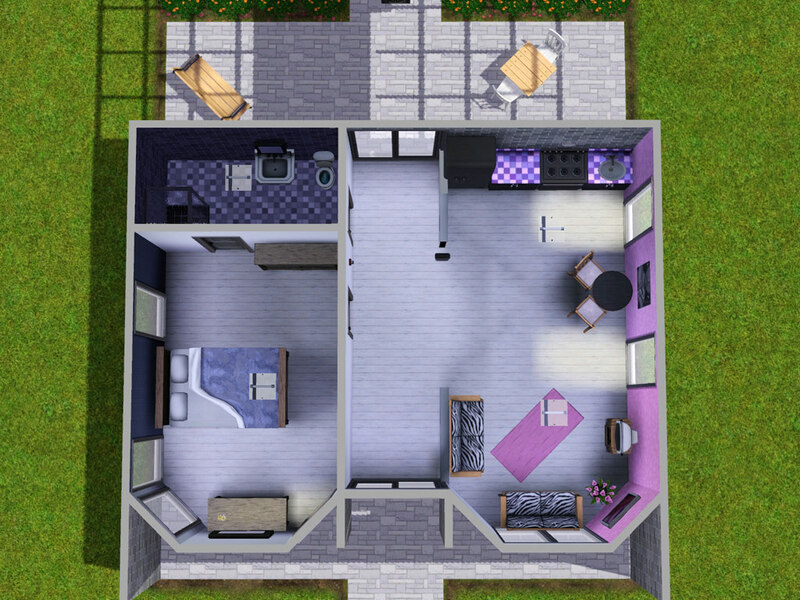 Rooms: Open-plan kitchen/living room, bedroom, bathroom and backyard. The wonderful Build Set - DIY made by Armiel, available on MTS. Several meshes used, so best idea is to go grab the entire set. When I was building the lot, I realized I really wanted to include stuff from this set to achieve the look I was going for. Not a thing I usually do, use CC in an upload, but as I'm such a big fan of modular/DIY-sets, I thought I'd try and convince all of you! Gorgeous choice of colours, Klaartje. Love the house (even if I am a hardened Ts2er). Seriously Neat. Another one to add to my TS2 Conversion List for July.